What do a Toronto area construction company, a Hamilton, Ont. library and Calgary natural gas company have in common? They all use cloud solutions. Canadian organizations of all sizes are increasingly adopting the cloud for a variety of problems. Smaller ones may run their entire operations from a software-as-a-service offering, while larger ones may still largely use on-premise software but use the cloud for point solutions. Canadian organizations consumed more than $1.3 billion worth of cloud services – ranging from email, customer relationship management to platform-as-a-service (PaaS) — in 2013, according to IDC Canada infrastructure analyst David Senf. The $3 billion mark will be crossed by 2017. Cloud in Canada has largely meant software as a service (SaaS – think of Salesforce) rather than PaaS or infrastructure as a service (IaaS). But, Senf adds, IaaS, in particular, will post much higher growth than SaaS over the next several years, growing from just under 18 per cent of cloud spend now to nearly 30 per cent by 2017. This is important because IaaS spend tends to stay in Canada versus SaaS revenue which mainly heads south of the border. “Our local service providers are ramping up their IaaS services which feeds our ‘made in Canada’ preferences,” Senf added. Still, cloud adoption here still lags behind the U.S., mainly for reasons of perceived security or regulatory concerns. Nearly half of IT managers surveyed by IDC Canada cite privacy worries about the U.S. Patriot Act still as a reason to not use U.S.-based clouds. By contrast, less than a quarter of line of business managers have concerns about where their data resides. Local data residency considerations are falling, Senf concludes, but slowly. Still, note this: The growth rate in cloud services spend in Canada has now exceeded the U.S. 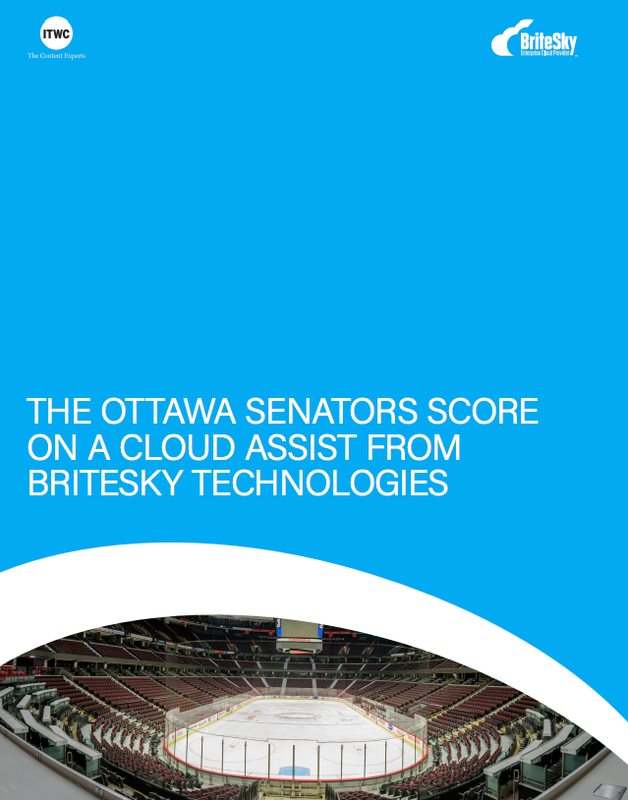 The typical lag in IT adoption among Canadian organizations has proven true in cloud until now. But now Canadian organizations are catching up to the U.S. in cloud usage — not only our usage of cloud but also our strategy and planning around cloud has picked up. Our overall cloud maturity (an IDC rating usage on a five-level scale from Initial to Optimized) remains quite low, but organizations show aggressive plans to change this. A low score indicates less likelihood to achieve success across a number of areas such as user satisfaction, SLA management and security. The top inhibitors to adoption remain concerns about security (namely confidentiality) and performance (conforming to stated SLAs). The only real change is that cost is being cited less as an inhibitor. ?With 70 locations in 20 countries, ShawCor, a Toronto-based oil and gas pipeline services company best known for coating pipes and inspections, had a IT decentralized infrastructure, with each division having its own server rooms. But when it began deploying more enterprise-wide applications, it needed a different approach. Instead, Dean Gibb, vice-president of IT, turned to OnX Enterprise Solutions for infrastructure as a service rather than build a data centre. That would free money and staff to concentrate on business applications. The IFS enterprise resource management system was migrated, while all other services (databases, email, file servers, business apps) were already virtualized. Only print servers are local. One difficulty he found in choosing a provider is that at the time there were few pure IaaS providers — and even OnX doesn’t meet his definition of pure. Microsoft’s U.S.-based Azure service would be the closest. One problem is OnX’s cost for adding a server is linear, he said. A true cloud play should see costs go down with more service. Still, because ShawCor is now in growth mode new services have to be brought online and having IaaS has sped things up. “If we had to buy something, get it in place, burn it in” with an on-prem data centre it would take time. “Instead we call OnX and give them the speeds and feeds.
? One of the savviest users of the digital world is firmly rooted in print: the Hamilton Public Library is the sixth largest in Ontario, serving 500,000 in the Hamilton-Wentworth area. One of the first of the country’s libraries to offer e-books, it recently turned to the cloud of add video streamed movies to its members. HPL was quick to realize that with digital the world had changed. It was the first of the country’s public libraries to offer e-books. It was also the area’s biggest source of video and DVD rentals. Last year it added video streamed movies from a service called called Hoopla from CVS Mid-West Tapes, U.S.-based provider of digital content to North American libraries. “We were looking for another on-ramp for people who had devices or were thinking of an alternative to Netflix,” said Darcy Glidden, HPL’s manager of online public services. For its part Mid-West was looking for a library to pilot with. “The whole physical lending model is based on dissatisfaction because you walk into the library and the latest John Grisham or Moria Cary album is usually out, so you have to get on a waiting list.” With streaming video there’s no waiting or late fees. “I imagine we use about half of all the services Amazon offers,” said Sean Dillon, Hoopla’s system architect. “Everything from EC2 for our relational databases to Elastic Beanstalk for our Web sites and Web service layer, Cloud Front as a content distribution network. We even use Route 53 for DNS services. We use Elastic Cache for caching services.” Hoopla contracts for the content to be encrypted with a digital rights management wrapper, usually Google Widevine. One advantage for HPL: Its servers don’t host the content. Three months after it started streaming service HPL had over 2,800 registered users.
? In the middle of last year international construction firm EllisDon Corp. of Mississauga, Ont., was doing what a lot of organizations had done — migrating from a client-server email system to Google Apps. “It became apparently quickly we needed a robust cloud-based system to backup all data,” recalled JT Armstrong, the firm’s director of IT architecture and solutions. There are some 2,000 mail accounts plus over 10 TB of data that need to be backed up daily (presentations, drawings, PDFs, mail, calendars and internal Web sites — which are mission critical). Unlike many Canadian companies, who might have restricted their search to domestic suppliers, EllisDon was open to a U.S.-based service. “If the U.S. wants the data, at the end of the day they’ll get it,” Armstrong said they reasoned, “as is evident with recent media disclosures” — a reference to the revelations of former NSA contractor Edward Snowden. “The purpose of the Patriot Act is to combat terrorism and I don’t think they care about corporate data.” And EllisDon isn’t a publicly traded company, he added. So when it came to cloud backup the company was open to Texas-based Spanning Cloud Apps Inc.
? Sometimes the best ideas for using the cloud come from your own experience. That’s what Jeremy Friedberg, co-founder of Toronto’s Spongelab Interactive found. As a graduate student in molecular genetics and biotechnology at the University of Guelph he used animation to get across the concepts he was teaching. Soon other staff were asking him to build digial tools for them, which led to the creation in 2007 of Spongelab. It has a cloud-based platform called Stitch for building game-based learning technologies. Friedberg calls it education-as-a-service. There’s a free version for junior highs and up for use in education systems. Stitch plugs into online education systems like Moodle. But for enterprises that want a custom solution the company creates a platform, infrastructure, tools, datasets, gamified experience and the content for personalized learning. SpongeLab can onboard and monitor users, tailor game levels, evaluate and hone content from customers and automate tools for loading content. One commercial customer is Pearson Education’s Catalyst program, for which SpongeLab is building a simulation and platform for medical education.
? Calgary-based CriticalControl Solutions started in 2000 as an outsourced supplier of imagery and data entry services for businesses, but with the cloud has broadened its range of offerings. Today it has customers ranging from provincial governments to energy companies. it can connect to customers data systems, and manage it and allow organizations through a Web browser to get business intelligence to make better decisions. Products include ProMonitor, which creates and publishes pipeline schematics that can be updated in the cloud, and ProTrend, a natural gas composition management application that compiles data from gas wells and makes it available online. CEO Alykhan Mamdani says two-thirds of the company’s revenue comes from the energy sector.